1. 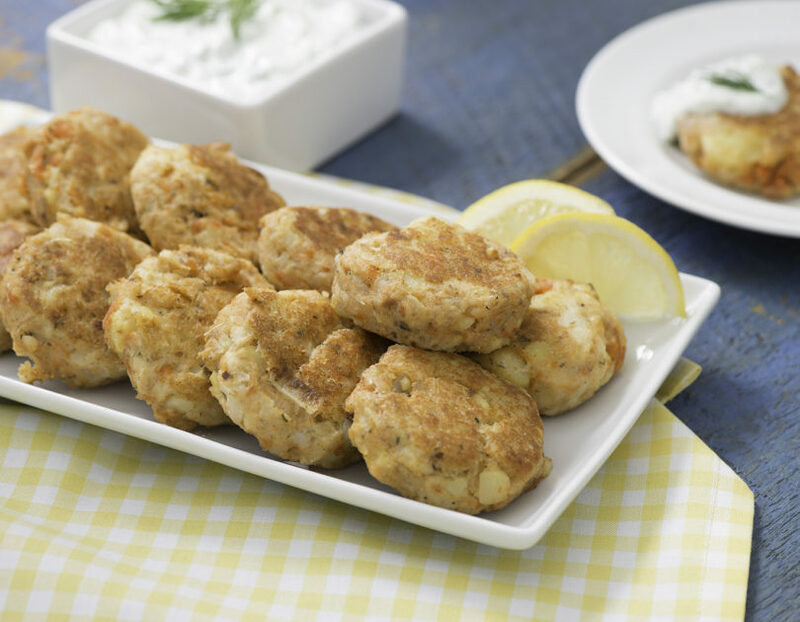 To assemble crab cakes, mix together crabmeat, remoulade, Rice Krispies, chives, salt and Old Bay seasoning. 2. Meanwhile, in a mixing bowl, toss together frisee and tarragon leaves. 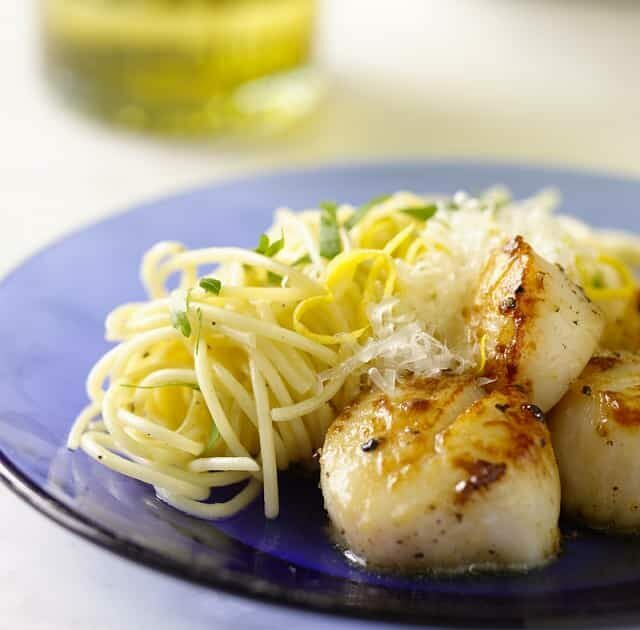 In a small, sealable container, mix together red wine vinegar, olive oil and salt. 3. Using a 1/4 measuring cup, portion the crab cakes on a lightly oiled baking tray. Place the crab cakes 6” under the broiler until the top browns. Once the top browns, gently flip the crab cakes and put them back under the broiler to brown the other side. 4. 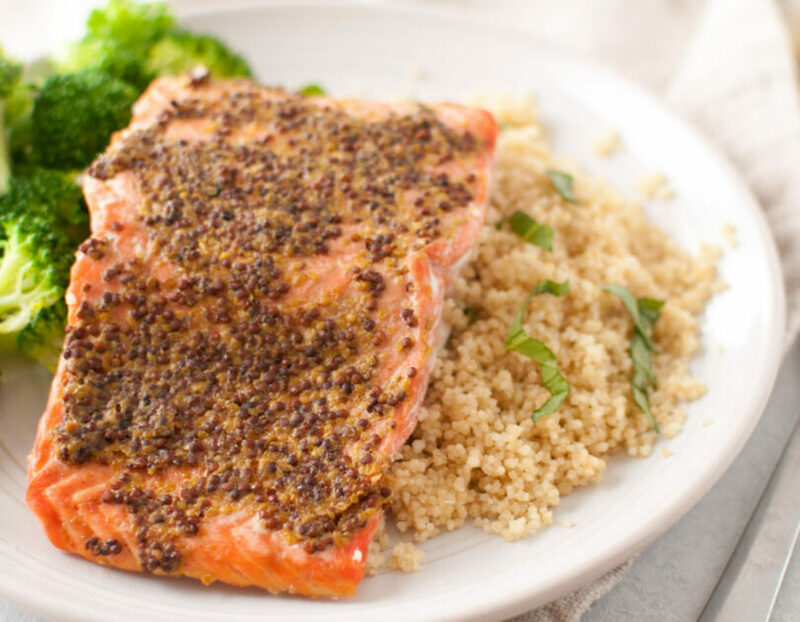 To plate, dress the frisee with homemade vinaigrette. 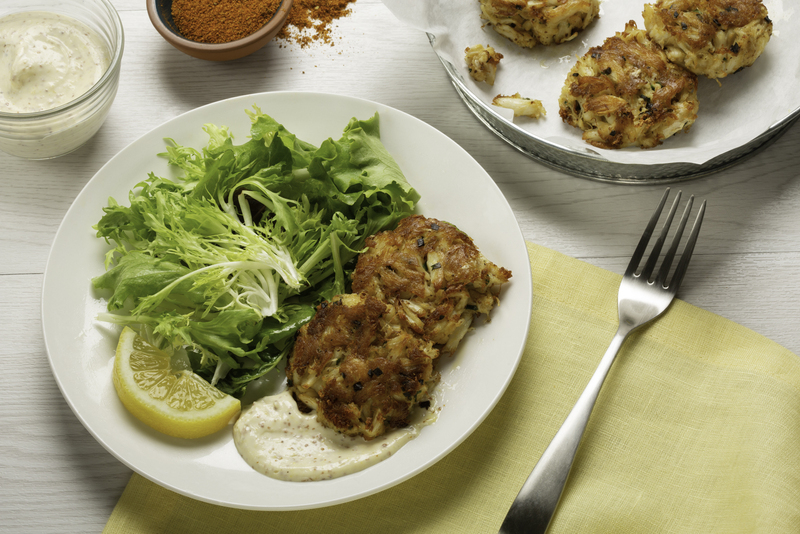 Spoon some remoulade on a plate and top with crab cakes and frisee greens. Crab Cakes with Homemade Remoulade created by SNP Ambassador Chef Todd Mitgang is perfect for dinner any night of the week or to serve as a party appetizer. 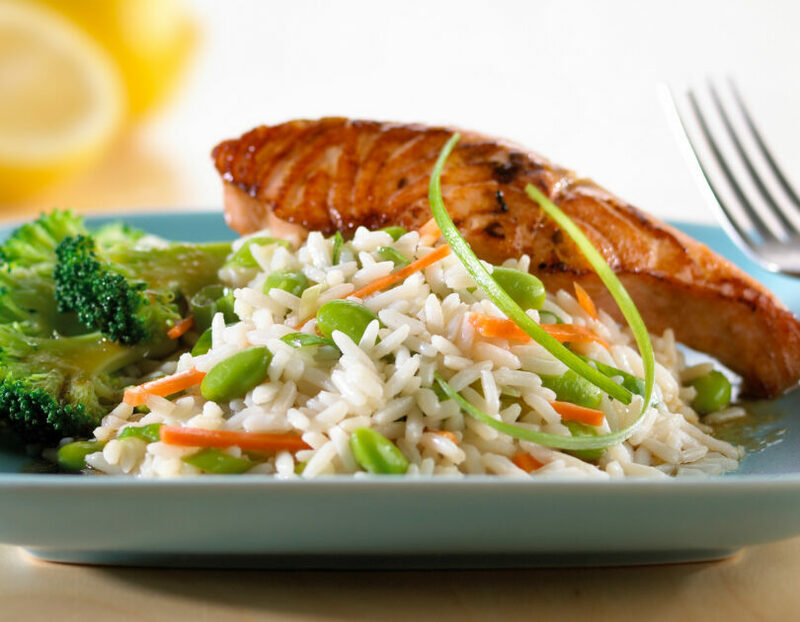 In a food processor, add egg yolks, lemon juice, dijon mustard, garlic, salt and water. While running, drizzle canola oil in at a slow and steady pace. Once combined, add the grain mustard and pulse until combined.